Rockpanel compressed mineral wool panels and manufactured from naturally occurring basalt rock, producing a robust but flexible panel. Rockpanel offers a low maintenance, weather resistant panel. 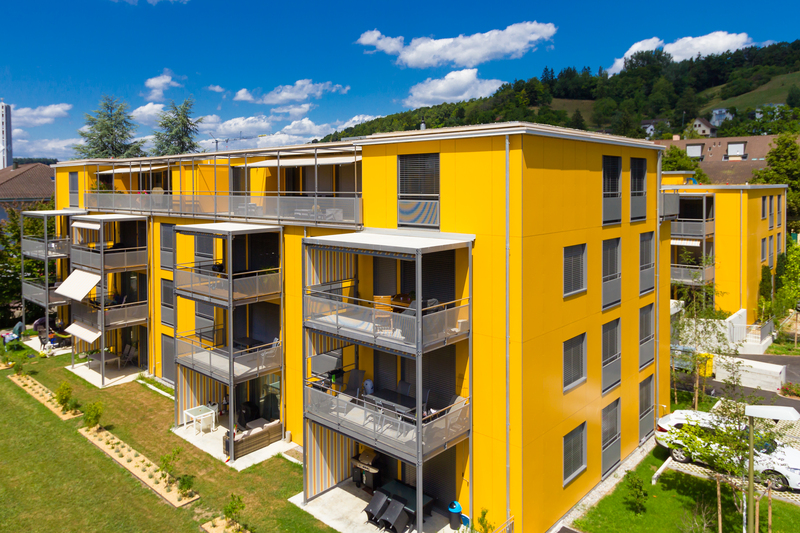 Produced in line with sustainability requirements the panels consist of compressed mineral wool boards and synthetic binders, to create lightweight and easy to handle panels. 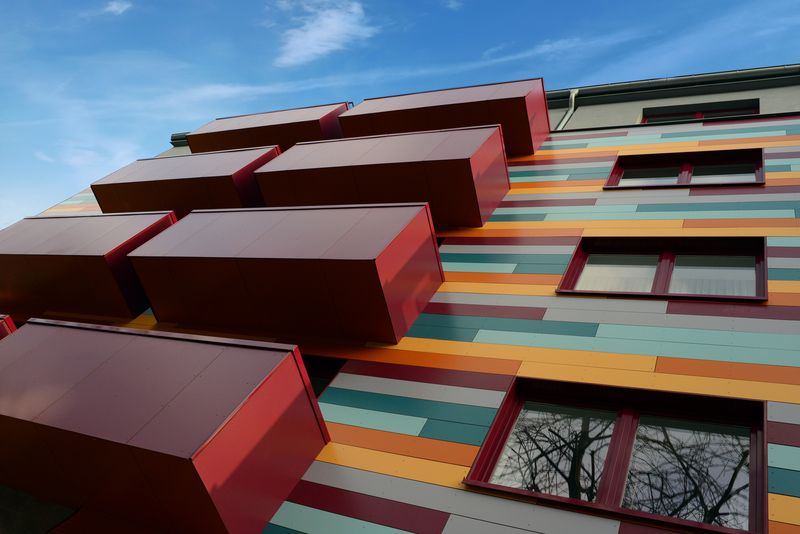 Previously known as Rockpanel Rockclad, Colours offers a wide variety of standard colours, and the ability to create bespoke colourfast panels to make a statement. Rockpanel Woods panels are carefully produced to ensure there is no repetition in the wood grain patterns, to create a natural wood effect. The modern Rockpanel Metallics range is engineered to give a metallic sheen, playing with light to create a striking shine with unique effects. 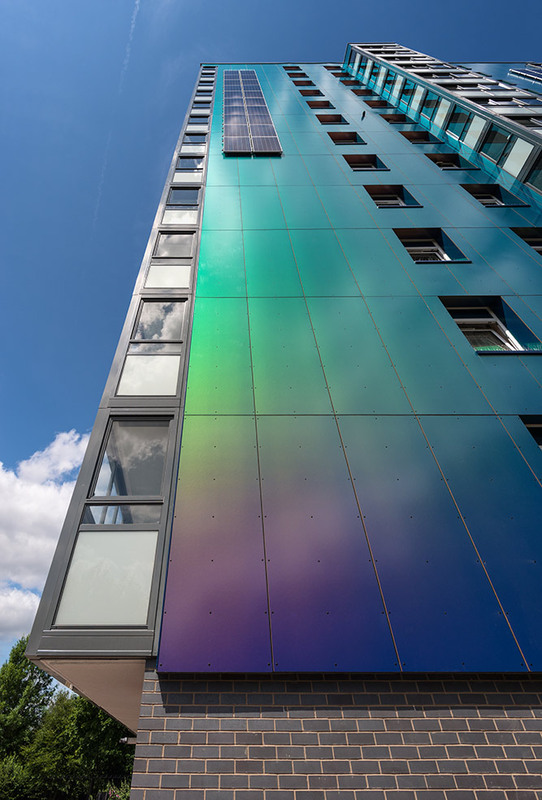 Rockpanel Chameleon is known for its impressive unique crystal layer which, depending on the angle it is viewed, dramatically alters the colour. The Rockpanel Natural range’s aesthetics change once exposed to the elements. Sunlight creates a weathered façade, adding a natural feel to the panels. Rockpanel Ply is a sustainable alternative to plywood, which gives you the ability to use any RAL colour to express yourself. The perfect low maintenance replacement for wooden tongue and groove panels, Rockpanel Lines accentuates the lines the panels create. The Rockpanel Brilliant panels sparkle during the day and harmonise with their environment at night to create an eye catching aesthetic. Rockpanel Stones is an impressive alternative to a natural stone facades creating a visually impressive and economically efficient board with the look and feel of stone at a fraction of the weight. The latest addition to the Rockpanel family is Rockpanel Uni, available in 4 different RAL colour options and ideal for small and basic facade applications.